This is an area of the nation where you can get a fix of swimming, sun, and Spring Break mischief: all of these elements can add up to an emergency dental situation quickly if you don’t pay attention. Diving off of boats, even if they are stationary, is one of the leading causes of cracked teeth, and you will need an emergency dentist in Lake Havasu City AZ right away if this happens! Once the weekend comes and many dentists are closed, your anxiety level may get quite high if you encounter a problem, and that’s where we come in. You can use our portal to locate a dentist near you when you feel the pain is becoming unbearable. Lake Havasu is a city in Mohave County Arizona that is the gateway to where many spend their recreation time and spring break, and brings in over 700,000 visitors a year. Some of the nation’s prime fishing tournaments are held here, and the prominent mountains in the background give it a trademark location’s feel. The world jetski final races are held here, and the area has been featured on the very hip MTV channel many times as it is such a sought after destination during the winter months as well. Other attractions here that bring many people here annually are the Havasu 95 Speedway, the Aquatic Center, Rotary Park, the London Bridge Resort, the Lighthouses on the Colorado River, and the Lake Havasu Art Collective. After looking through our index, should you be struggling to access a dental professional, please utilize the Lake Havasu City urgent situation hotline we provide you with to seek prearranged appointments with urgent care dentists in Lake Havasu City. This telephone service is open 24 hours a day, which means there’s always an agent available to help connect you with a Lake Havasu City urgent care dental clinic. Many of the emergency calls we get from Lake Havasu City AZ are for a bitten lip or tongue: the main concern here is the amount of bleeding that can occur. Clean the area gently with a cloth, and apply pressure and cold compresses to reduce the swelling and stop the bleeding. If it doesn’t stop after 15 minutes, you definitely need a weekend dentist right away! This is one accident that some just don’t treat as an emergency: and if you have bitten down hard enough, it definitely can be. These dental care postings listed below are recommended by E-Dentists USA and every one of these emergency dental offices have some type of urgent care consultations as well as evening and weekend care, however, not all of them will be 24 / 7. Make use of this database to start your search for an urgent care dental supplier, if you’re struggling to make contact with a dental professional directly, or else you only want to by pass the trouble, make sure you call our 24/7 after hour dental hotline we provide. Emergency Dentists USA supplies a remedy for what once was a challenging, time intensive issue. To discover weekend dental practices we searched the entries of emergency dentists in Lake Havasu City and listed precisely the dental practitioners that we know to provide Saturday and Sunday or night time hours. A distinctive market has developed offering oral health care solutions to individuals in need of help. Directions Numerous Dental Treatment centers in Lake Havasu City, We Refer you! 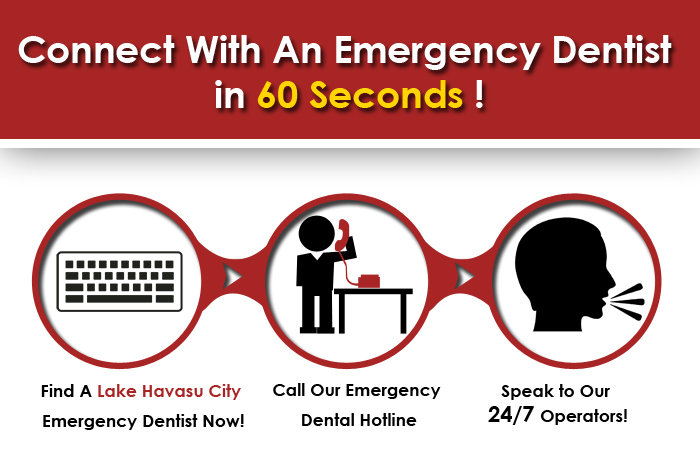 Summary Don’t wait, call now to speak with an emergency dentist Lake Havasu City AZ expert. We can be useful for finding a dental professional for whatever your current dentistry emergency could be. If you wish to discover a Saturday and Sunday dental practice, or perhaps a nighttime dental office, we are the Lake Havasu City service for you. The relationships we now have produced allow us to become associated with hundreds of after hours dental offices in the usa. Summary Darrin Nelson, DMD wants to assist you and handle the dentistry crisis that you’re having, take advantage of their technically superior and comfy office environment! Their personnel provide expertise with regard to root canals, dental crowns, and tooth extractions. Description DR. JASON YOLE, D.M.D. is a expert dentist that provides after hours oral services and is always open to brand new clients. Description Ike Tomas, DDS welcomes brand new patients, especially those searching for immediate care dental care, make sure you call ahead of your session. Finding an emergency dentist in Lake Havasu City AZ will be a snap once you log on to our portal, where we locate the best and brightest for you. 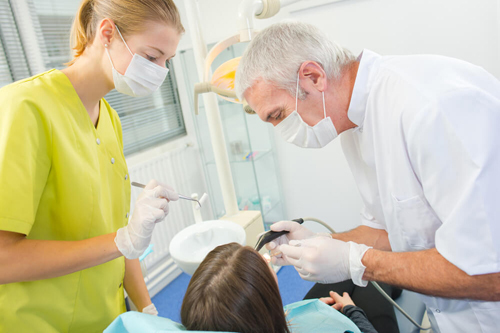 If you happen to have dental anxiety, these emergency specialists have sedation options and more to help you through this time that may make you uneasy. So many patients that are traveling cross-country let us know that many emergency dental listings don’t ring through to an open clinic, and just leave you out in the cold until Monday morning at 9 A.M. Don’t let dental pain completely kill your plans, and make sure that you are able to get in the seat of an emergency dental professional today! We propose you always do a background check about the schooling and services promises of any dentist office if you’re going to them for the first time, make sure you use Lake Havasu City Chamber of Commerce Dentist Page.